Ok, we really love this smartboard program and believe your classroom will too. 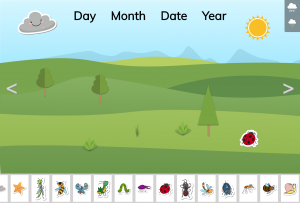 For calendar time, kids get to build their own world, by dragging in a sun, cloud or trees. They can make it rain, change the season. Weather and calendar time has never been so much fun. Set up the time you need for countdown, 5 minutes to 60 minutes, and start the timer. 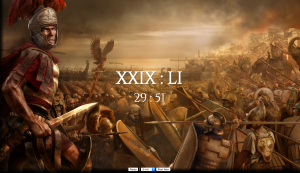 The time will start ticking in Roman Numeral style! Great to see what time would be like written down in Roman times. Have fun! This one is available for purchase and download only for a short time on Teacher’s Pay Teachers. Have a wonderful Valentine’s day. A new way to create jeopardy class game reviews, which looks really great. Launching soon, you will be able to use custom themes, add media (such as images and videos), great support for mathematic formulae and map integration for any geography. Play the demo game so long and make sure you sign up for when this creator launches. 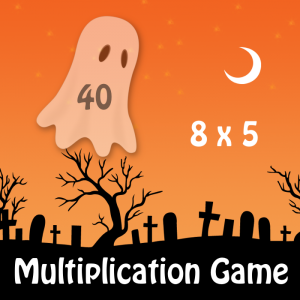 Practice addition by clicking on various objects in this fun game. Have two teams compete against each other to see who gets the most points. You only have a minute to complete as many addition questions as possible. So race on! 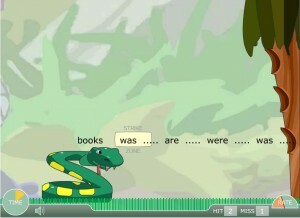 Verb Viper helps students practice their verb tenses, verb forms, and subject/verb agreement, with an added challenge of having to try to get as many correct answers as they can before the time runs out, while also struggling to read and think fast enough to get the correct answer. 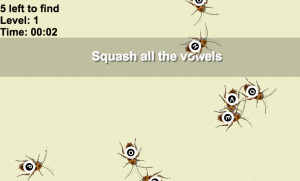 Before the game starts, the teacher has the option to choose what type of verbs forms to practice, as well as the game’s difficulty. During the game proper, a subject (or subjects) is displayed on top of the viper’s head. If the verb in the “strike zone” box matches with the subject, the player must either click the screen or tap on the spacebar. However, beware with the verbs’s scrolling speed – every time a verb passes through the strike zone, whether or not it is correct, the subject instantly changes. So it’s a constant battle of quickly reading the subject and immediately judging if the upcoming verb is correct. At the end of each of the game’s six levels, it shows the player’s accuracy for that stage, along with both his correct and incorrect answers. When all six levels are done, the player is presented with a certificate which the teacher can print if he wishes. 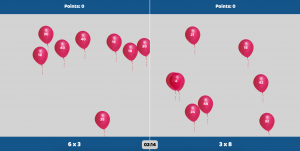 It would take a while to complete, but teams of six can play this, with one student playing per stage. After everybody in each team had played, their accuracies per level are tallied and averaged. The team with the highest average score wins.